Support your high horsepower Mustang the right way with this 1989-1993 Mustang high performance fuel system! Add a fuel system that can support your high performance engine with this 1989-1993 Mustang high performance fuel system! This kit includes all of the components needed to support your forced induction Mustang. When you force more air in, you'll need to the fuel to keep up. 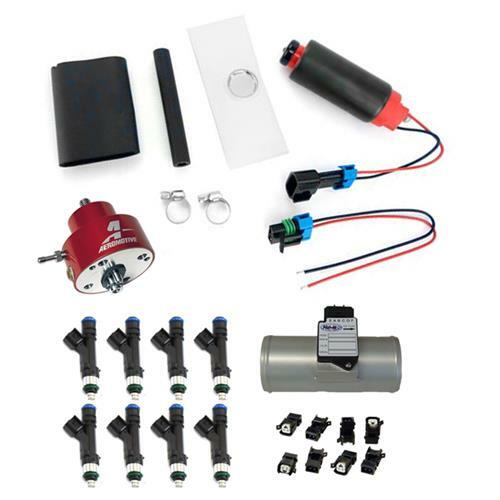 This kit includes a new blow through mass air meter, high flow fuel pump, 47lb fuel injectors, fuel pressure regulator, and the correct injector adapters. The combination of these items will allow you to keep up with the increased airflow. Will NOT fit 1993 Cobra.